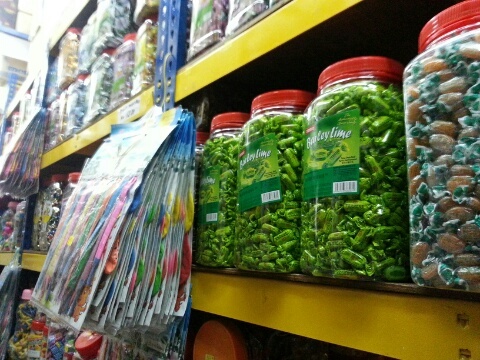 If you want to buy snack food, candies, biscuits, chocolates, kacang putih, preserved and pickled food (jeruk), crisps, etc, you can buy from a snack and light food wholesaler and supplier instead of from department stores or hypermarkets. Note: Do check out another snack supplier also located nearby. The price from these suppliers are usually cheaper compared to the usual hypermarkets and grocery stores. These are 2 food suppliers located in PJ Old Town that you may want to check out if you are near the vicinity. 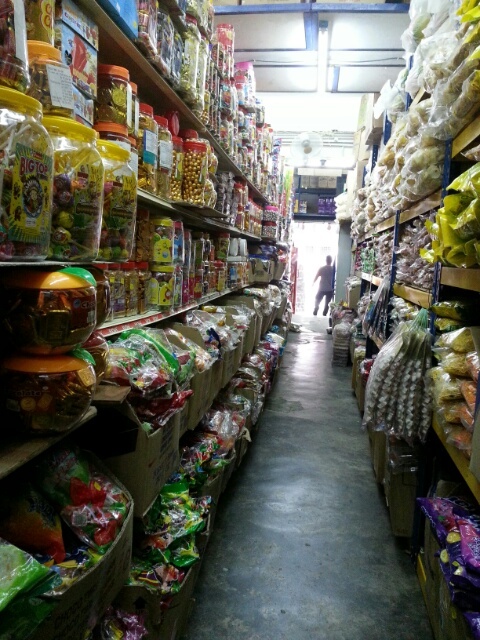 They sell sweets, candies, chocolates like Cadbury and endless varieties. 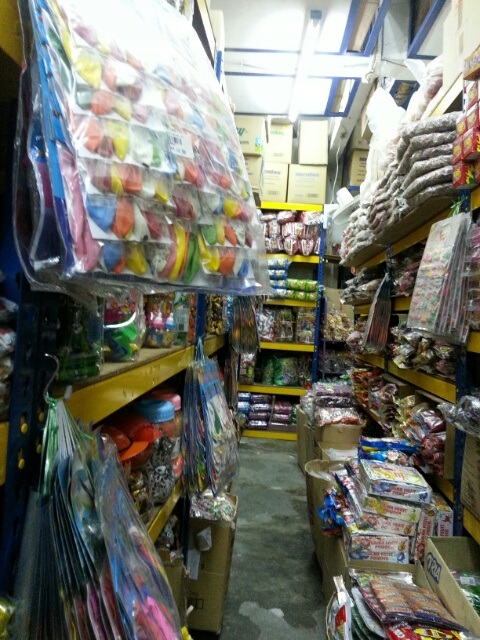 Most of the shops selling sweets would source from these suppliers. Above are some preserved food like sour plum which are sold in larger packets. For Chinese New Year they also sell items like almond biscuits, fortune cookies (where from a biscuit you get a message on a piece of paper), walnut candies and other types of dry food that are suitable to be presented to hosts when visiting their homes. 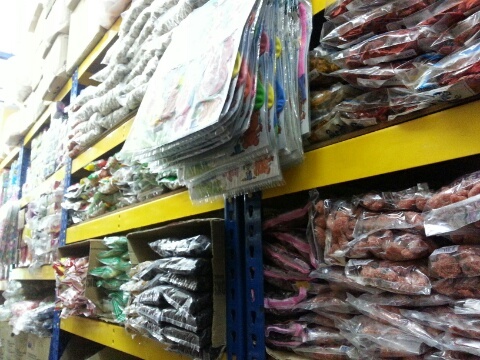 One can also buy some of the items from here to be used as gift hampers. I myself bought some preserved plums, chocolates, seaweed snack and marjerin from the shop because it is cheaper than Giant and some of the things like preserved plums are more fresh from here. We are a hamper packer company at Petaling Jaya, Sunway Damansara. We are interested at your snack for Hari Raya Hamper this year. Thus just want to know to know that do you have any products can provide for us? And we are going to have photo shooting for Thursday, so may i know is it whether possible that to send us the sample to us if not we will going to find another supplier for Raya this year. Kindly send us a official quotation also together with the pictures. But we would like to receive your sample for us to have photo shooting. We would like to source for the biscuit. We normally purchase every month 2 tins of biscuits in cheap pricing. Please quote me what kind of biscuits you all provide with the wholesale pricing. ​Please do not hesitate to contact or email me for any further assistance. Thanks for dropping by my blog. Unfortunately, I am not from this company but just happened to write about them based on my experience. You may contact the details above or alternatively contact another supplier located on the same road, Kedai Lam Loong at 012-3629438 or email kedailamloong@gmail.com. I will be writing about the other supplier soon and linking to this post. I am Alia Aufa binti Azman, a student from the University of Malaya. In collaboration with the Working Committee of Social Welfare and Development of Tuanku Bahiyah Residential College, the student committee will be organizing an annual event, Ekspedisi kampung Nelayan or known as E-KAN.
As such, we humbly seek your esteemed establishment to become our sponsor/make an advertisement for the aforementioned event. As such, we would like to invite your company to be our partner for this project as your contribution will directly impact on 400 fishermen community of Pulau Suri and also towards to 36 students from Tuanku Bahiyah Residential College. There will media coverage on newspaper, making this a great platform to promote your organization and brand to the public, among the community of Kampung Pulau Suri and University of Malaya students. Also, a certificate of appreciation will be sent to the sponsors at the end of the project. Please find a copy of Sponsorship Proposal attached for your reference. There are some suggestions of things that you could contribute and you can find them in our marketing proposal. However, we accept any forms of sponsorship that you wish to give.